Is there a Post-Coal Future for Appalachia? 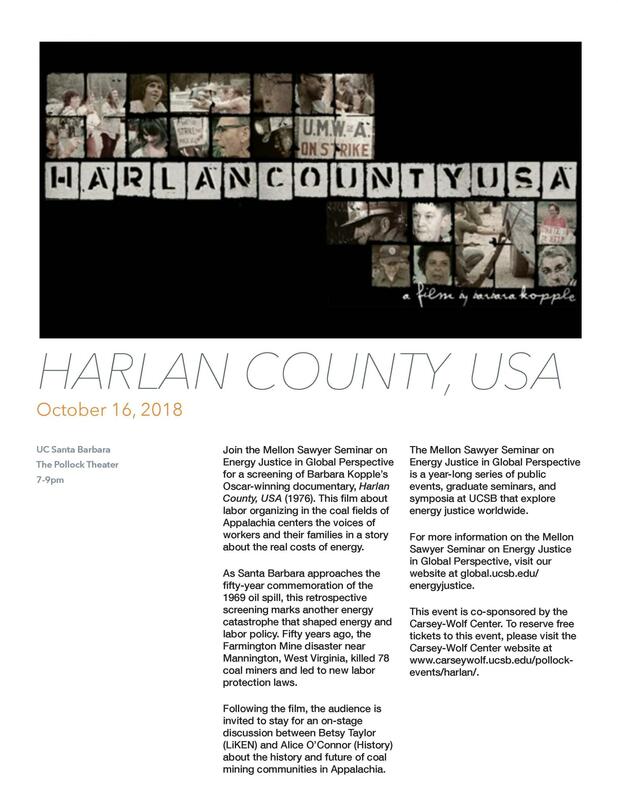 On Tuesday, October 16th at 7PM the Mellon Sawyer Seminar on Energy Justice in Global Perspective and Carsey-Wolf Center will host a screening and panel discussion of - Harlan County, USA. This oscar-winning documentary profiles the struggles faced by coal miners in the mid-1970s, which still resonate today. 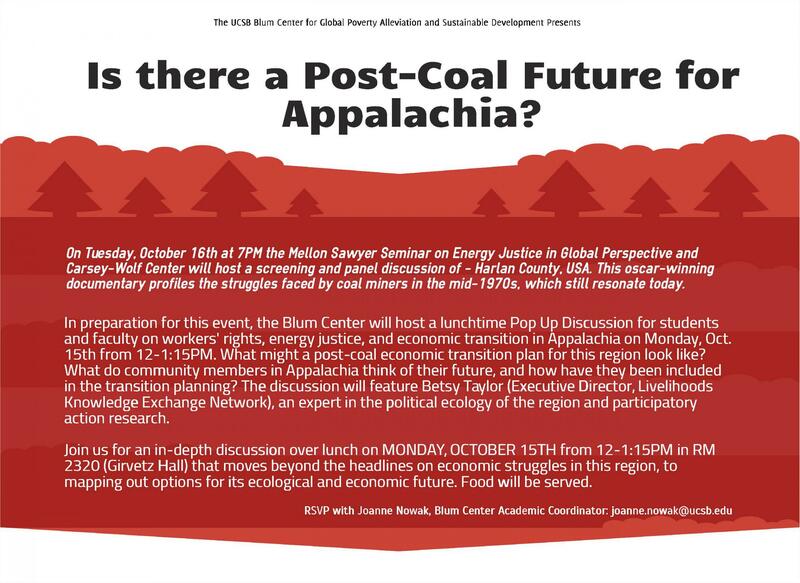 In preparation for this event, the Blum Center will host a lunchtime Pop Up Discussion for students and faculty on workers' rights, energy justice, and economic transition in Appalachia on Monday, Oct.15th from 12-1:15PM. What might a post-coal economic transition plan for this region look like? What do community members in Appalachia think of their future, and how have they been included in the transition planning? The Discussion will feature Betsy Taylor (Executive Director, Livelihoods Knowledge Exchange Network), an expert in the political ecology of the region and participatory action research. Join us for an in-depth discussion over lunch on MONDAY, OCTOBER 15TH from 12-1:15PM in RM 2320 (Girvetz Hall) that moves beyond the headlines on economic struggles in this region, to mapping out options for its ecological and economic future. Food will be served at the Pop Up Discussion.